Willam was basically a marketing label for a variety of foreign-made vehicles to be sold in France. As head of Lambretta S.A.F.D. in Levallois-Peret, M.H. Willam first presented Lambretta-engined prototypes at the Paris Salon in 1966, which were actually manufactured by Scattolini in Italy. 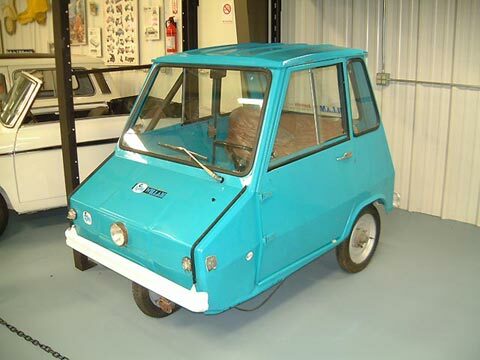 In 1967, he entered into an alliance with Lawil of Italy, which produced a range of microcars sold in France under the names Willam City and Farmer. In 1971, another 125cc prototype was shown but not produced. Instead, Willam imported from Italy the Baldi, Zagato Zele, and later the B.M.A., Decsa and the museum example, the Casalini. Casalini was a maker of mopeds, scooters and trikes, who built the tiny Sulky in 50 or 60cc versions. Unusually for the type, it had all-steel bodywork on a tubular steel frame. In 1980 it gained a fourth wheel (and was then called Bretta or David) as well as a Break-style body. Another model was called the Kore. With sales of 1000 per year, Casalini long outlived the other Italian makes. Weight: 350 kg Electrics: 12 v 4 Wheels: 3.00 x 12"